Mitsubishi has stated it intends to launch a successor to the Lancer Evolution, but it won’t happen just yet. Speaking to Australia’s Motoring, Mitsubishi global boss Trevor Mann said the Evo revival won’t happen for another six years. Oh, and it will likely be a crossover and not a sedan. "I would say (a new performance model) it is long-term rather than mid-term," Mann stated. "It will be between three years and six years." 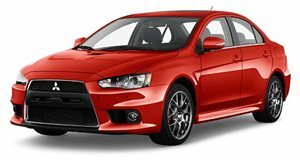 Basically, Mitsubishi needs time to rebuild before it can launch new niche performance models again. Mann also made clear that Mitsubishi would like to have a halo car one day but, again, there’s no rush. "I think it’s a longer term opportunity than a problem," Mann said in referring to halos. "I think some brands have created halos in cars that aren’t high performance, take the Volkswagen Golf for example. In Europe it was an aspiration vehicle for a lot of people. You’ve got to decide what is going to be the halo vehicle for us and how we want to do that." A return to motorsport also isn’t being ruled out. Now, as far as a new Evo goes, it’s possible Mitsubishi already previewed this possibility back in 2015 with its eX Concept. Today, there’s the new production-spec Eclipse Cross, whose platform could eventually underpin that new Evo, but it’s tough to speculate at this time. At least it’s good to know that Mitsubishi, despite its recent troubles and second chance at life thanks to Nissan, is already looking ahead with the goal of returning to its performance past, even if that does involve building a crossover in the meantime.